Thyroid disorders are broadly divided into thyroid function disorders (hypothyroidism and hyperthyroidism) and thyroid gland size disorders (goiters and nodules) which could be present both in a single patient. The disorders are more prevalent with age, with family history of thyroid disease and autoimmune disorders, and much more common in females. Thyroid disorders occur in a significant proportion of the general population and increasingly being diagnosed but still with more than half of the cases undiagnosed. In one of the largest study to date, the Colorado study, revealed around 10 % of population do suffer from hypothyroidism and 3% hyperthyroidism. Thyroid nodules are very common and were found in multiple studies to reach 50% of population without a history of clinically detectable thyroid disease. The natural history of thyroid diseases usually evolves but with early diagnosis and appropriate management by a specialized Endocrinologist, most disorders are treatable. Hypothyroidism is a clinical syndrome resulting from a deficiency of thyroid hormones which in turn results in a generalized slowing down of the metabolic process. 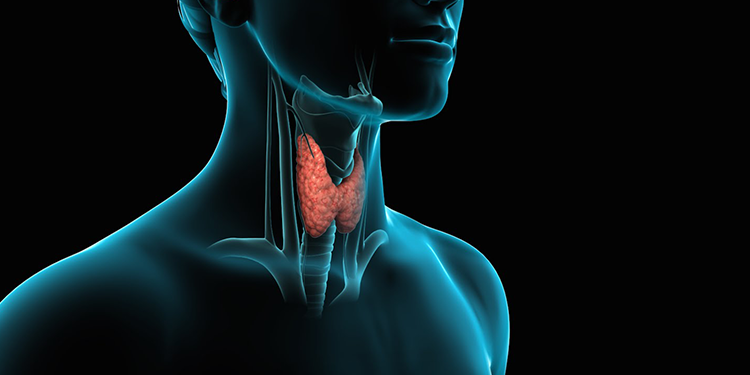 Whether hypothyroidism results from hypothalamic-pituitary disease or primary thyroid disease, symptoms and signs of the disease vary in relation to the magnitude of the thyroid hormone deficiency, and the acuteness with which the deficiency develops. Hypothyroidism is less prominent clinically and better tolerated when there is a gradual loss of thyroid function (as in most cases of primary hypothyroidism) than when it develops acutely after thyroidectomy or abrupt withdrawal of exogenous thyroid hormone. The symptoms are mostly related to the generalized slowing of metabolic processes. This can lead to abnormalities such as fatigue, slow movement and slow speech, cold intolerance, constipation, weight gain, delayed relaxation of deep tendon reflexes, and bradycardia. However, the accumulation of matrix glycosaminoglycans in the interstitial spaces of tissues can lead to coarse hair and skin, puffy facies, enlargement of the tongue, and hoarseness. These changes are often more easily recognized in young patients, and they may be attributed to aging in older patients. This hypometabolism that is associated with hypothyroidism results in a decrease in cardiac output that is mediated by reductions in heart rate and contractility that could worsen cardiac failure. Hypertension, hyperlipidemia and hyperhomocysteinemia could complicate hypothyroidism thus leading to atherosclerosis. Hypothyroidism in infants and children results in marked slowing of growth and development, with serious permanent consequences including mental retardation. In adult females, hypothyroidism may cause menstrual changes and these menstrual changes result in decreased fertility and hyperprolactinemia may occur. If pregnancy does occur, there is an increased likelihood for early abortion and decreased IQ of the fetus. However, many cases are asymptomatic or have non-specific signs and symptoms like in post-partum depression, fatigue, anemia, or with GI symptoms. The American Thyroid Association recommends every one to test their thyroid function at 35 years of age. Adult primary hypothyroidism is caused most frequently by chronic autoimmune thyroiditis (Hashimoto thyroiditis) and is present in up to 10 % of the population. Women older than 40 years of age and elderly individuals of both sexes are affected most frequently but could occur at any age. Other causes of hypothyroidism include thyroidectomy, radioactive iodine therapy, antithyroid drugs, head and neck irradiation, certain medications and congenital defects. It results from excess thyroid hormone and is present in a variety of conditions that are mainly caused by intrinsic thyroid disease, including hyperthyroidism due to toxic diffuse goiter (Graves’ disease), toxic multinodular goiter, toxic adenoma and thyroiditis (painful and subacute, or silent). Thyrotoxicosis may also be associated with excessive pituitary TSH production, a trophoblastic tumor, or excessive ingestion of iodine or thyroid hormone. A wide range of signs and symptoms is associated with hyperthyroidism but manifestations and severity depend on the extent of thyroid hormone excess, age of the patient, and duration of the condition. 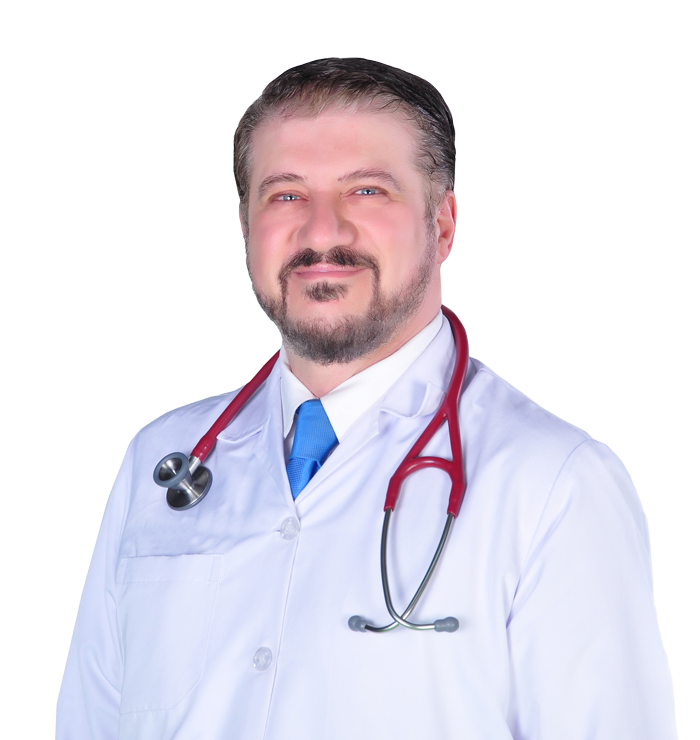 They usually present with symptoms related to the higher metabolism like sweating, tremor, palpitations, unexplained weight loss, hyperdefecation, heat intolerance, insomnia, and muscle weakness. They also could have significant eye symptoms with dermopathy or be only as a cardiac presentation especially in older populations presenting only with atrial fibrillations, tachycardias and/or heart failure. Children may present with height and growth related problems or just hyperactivity. They tend to have more weight gain than weight loss. The condition may be diagnosed during pregnancy and could present with abortion, failure to gain weight during pregnancy or weight loss, and fetal tachycardia as thyroid stimulating antibodies can cross the placenta to stimulate the fetal thyroid. Careful assessment should be done with proper laboratory data and thyroid scan before treatment as Thyrotoxicosis could be a simple thyroiditis that resolves or one of the toxic thyroid disorders requiring appropriate treatment. euthyroid or hypothyroid. Nontoxic goiter is often a precursor to toxic multinodular goiter; the toxic form generally is associated with signs and symptoms of hyperthyroidism. If thyroid function is abnormal, then the treatment most likely will help decrease the size of the goiter in most cases. However, if the function was normal, then a careful assessment to consider suppressive therapy depending on the age, level of TSH, size of the goiter and the size response in the first 6 months. After assessing the function of the thyroid, Patients should have a thyroid scan and/or ultrasound. If nodules are found and are greater than 1.0 cm, the physician should consider performing ultrasound-guided fine-needle aspiration (FNA), or without in ultrasound if nodule is large enough, to rule out malignancy. A thyroid nodule is a discrete lesion within the thyroid gland that is palpable and/or ultrasonographically distinct from the surrounding thyroid parenchyma. The nodules could be with or without a goiter, and could be solitary or multinodular. A nodule could be solid, cystic or a mixed nodule. Clinically apparent solitary thyroid nodules occur in up to 7% of the general population and more than 50% by thyroid ultrasound studies. The disorder is more common in women than in men. A history of head or neck irradiation is a major risk factor for the development of thyroid nodules and thyroid cancer. Family history of thyroid cancer could be also a risk factor in certain thyroid cancer syndromes. Although thyroid nodules occur less frequently in children than in adults, the diagnostic and therapeutic approach to one or more thyroid nodules in a child should be the same as it would be in an adult. Evaluation during pregnancy is the same as for a non-pregnant patient, except that a radionuclide scan is contraindicated. Thyroid nodules generally are classified as benign (colloid or follicular adenomas), suspicious, or malignant. The principal diagnostic tool used is fine-needle aspiration (FNA) for cytology. Most nodules are benign and the risk of malignancy is small but still significant to justify FNA. If FNA results indicate that the nodule is malignant or suspicious for malignancy, surgical excision is indicated; the extent of surgery varies depending on factors such as nodule size, location, and the presence of lymph nodes. Thyroid cancer is the commonest malignant endocrine tumour but comprises only about 1% of all malignancies. Over 90% of thyroid cancers are of the follicular or papillary variants often termed differentiated thyroid cancer. The rare forms of thyroid cancer comprise medullary thyroid cancer arising form parafollicluar C-cells, thyroid lymphoma, anaplastic carcinoma, Hurthle-cell carcinoma, squamous cell carcinoma and the very rare intrathyroid sarcoma. A number of factors are associated with an increased risk for thyroid carcinoma; age 40 years, nodule size > 2 cm, regional adenopathy, presence of distant metastasis, prior head and neck irradiation, rapidly growing lesion, development of hoarseness, progressive dysphagia, or shortness of breath, family history of papillary or medullary thyroid carcinoma or Multiple Endocrine Neoplasia (MEN type 2). Thyroid cancers usually caries good prognosis and is one of the curable cancers when diagnosed, treated early and carefully by a qualified Endocrinologist.